Like our tasty pizza bread, this boat recipe is perfect for lunch! A recipe can't be more simpler than this! Everyone will enjoy this light food! 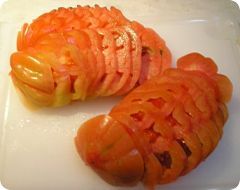 It nearly takes 20 minutes to make and the ingredients hereunder are good for 2 persons. You can easily adjust for more, of course! Put 3 tablespoons of the ready-made black olives tapenade in a cup. 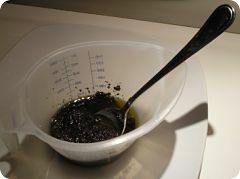 Add 2 tablespoons of the extra-vierge olive oil and 1 teaspoon of the balsamic vinegar. 1) Put a grill pan on the fire. 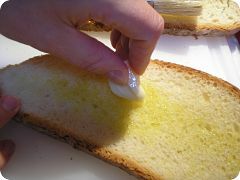 2) Take the 2 large slices of bread and use the toe of garlic to rub it over the bread. 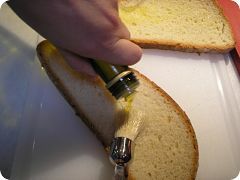 Then, spread some olive oil on them. 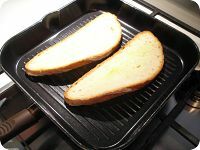 3) Place the slices in the hot grill pan. 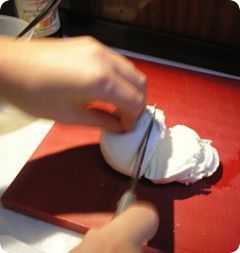 4) Cut the tomatoes and the ball of buffalo mozzarella in slices. 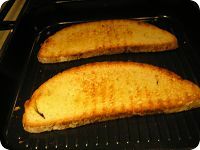 5) When the slices of bread become golden-brown, they're ready! 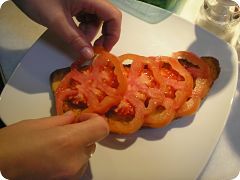 6) Put the slices of bread on their plates and put the slices of tomato on them. 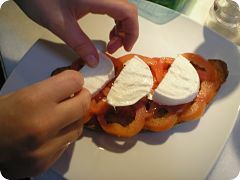 Then the slices of mozzarella and, next, you grind the black pepper over them. 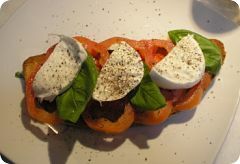 Between the mozzarella, you can add some leaves of basil. 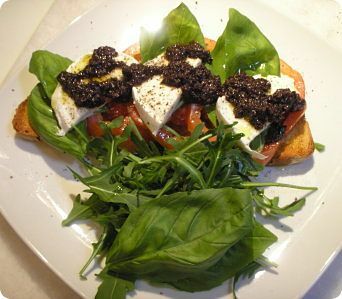 7) Drizzle the tapenade over the bruschettas and put some rocket next to the bruschetta on the plate. And What's Your Favorite Dish Onboard? Click here and share it with us!